Our trip started the minute we woke up. We tossed our bags on our backs and headed straight for Roslyn train station to catch the 6:19am train to Penn Station. Being that the train is the only morning train that we didn’t have to transfer in Jamaica, we decided to go with it. We transferred to the NJ Transit train to Newark Airport with 2 minutes to spare and arrived at the Newark Air Train, or monorail, a little before 8am. We decided that taking the train to the airport was so incredibly easy and stress free. We didn’t have to worry about traffic and we knew exactly when we would get there. It also was a lot less expensive than a car service or the torture of making one of our parents drive us. Well, 8am at Newark was apparently WAY too early. The ticketing counter for Air China did’t open until 8:25am, but they didn’t start ticketing until 8:45am. We wandered around and then made sure to be the first people on line to get our seats together. We made our way over to security, but that wasn’t open until 9:30am, so we killed some time getting breakfast. Once through security, (shout out to TSA agent Piro, who we learned is missing the Sha) we waited for our flight and made sure all of our electronics were charged up for the next full day of traveling. 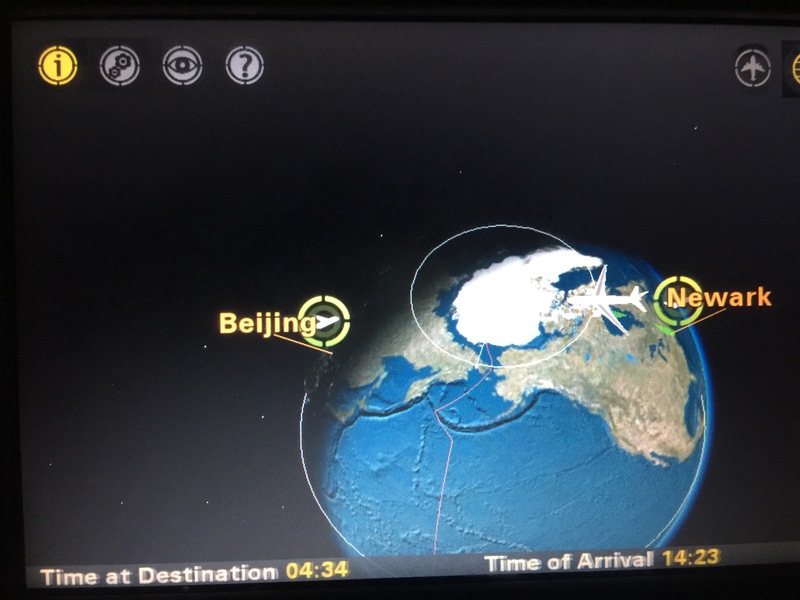 We boarded late and came to realize that Air China is ALWAYS running late (and that many other airlines in our future may be the same way). We called it preparation for our trip. When we boarded we were seated in the first row of economy, which meant we had excessive amounts of leg room, as well as a whole row to ourselves. Unfortunately, in this row the tray tables fold up into the arm rest, so we could not lift the arm rests up to lay across all three seats. So I just laid some blankets down on the floor and was able to stretch out. Some more preparation for our backpacking trip…sleep wherever we can sleep. Once in Beijing we had to go through China security and transfer for the second leg of our journey to Hong Kong. Once we got to gate E19 and laid down on the cushioned lounge chairs by the gate, we realized that our gate had been changed to the complete opposite side of the airport. Once we were finally settled we took a shuttle bus to the tarmac where our plane was waiting. 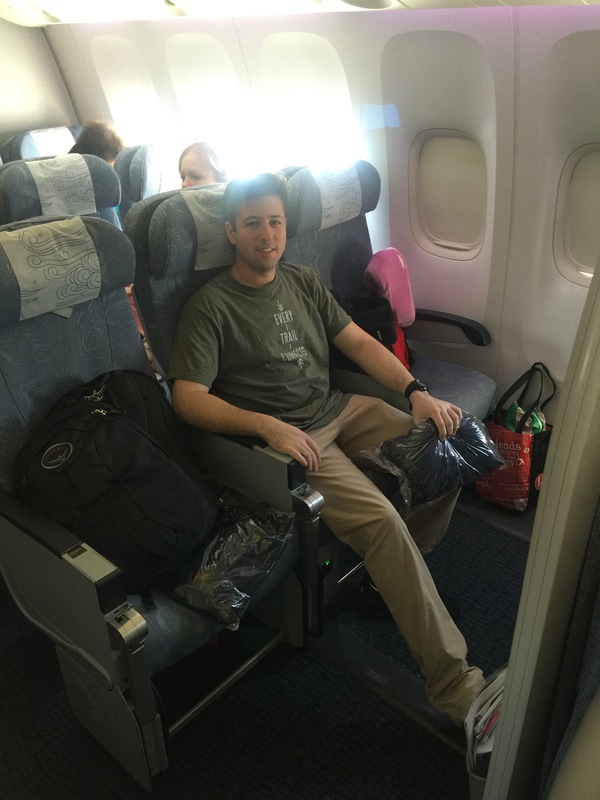 No, we did not fly private to Hong Kong, I wish, but we did each get our own row on this four hour flight. 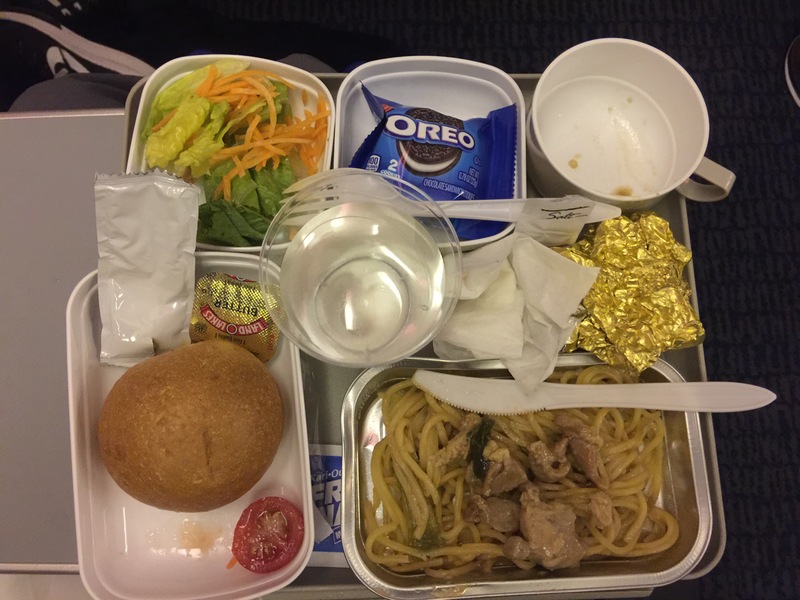 We completely passed out and miss the meal service on this flight, so can’t tell you what it was or if it was edible. When we arrived in Hong Kong, we changed some of our money. DON’T CHANGE YOUR MONEY AT THE AIRPORT!! They gave us $7HKD to $1USD and all of the exchange places in the city are at least $7.5HKD to $1USD. You should actually change about $5USD in order to ride the subway to your destination. We took the Airport Express to the Yellow Line (which really looks orange on the map and in the stations, but they call it yellow) and changed to the Red Line in order to get to our hotel in the Tsim Sha Tsui (TST) area. 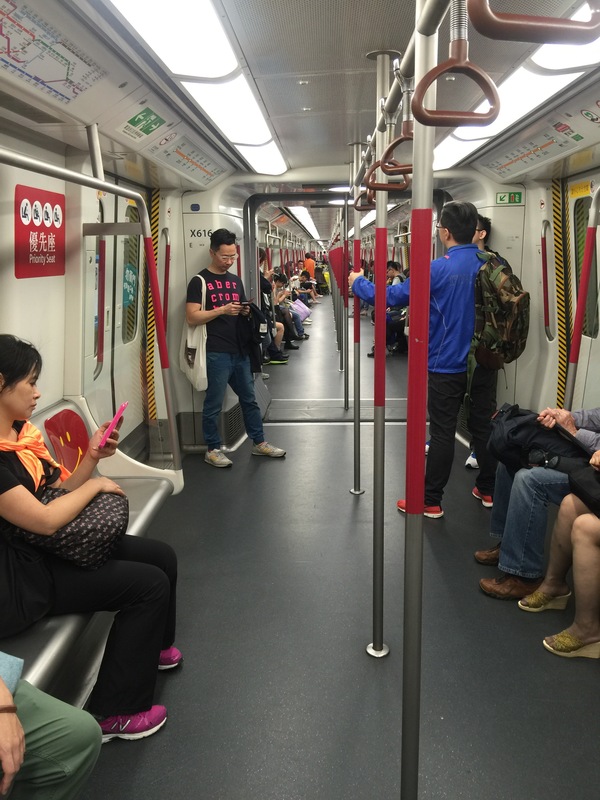 It is so incredibly easy to get around on the subway, it’s super cheap and unbelievably clean. You probably could eat off of the subway floors. Also, all of the subway cars are connected, which was really cool. Get ready for our next updates about what we have eaten so far and our hotel!! Previous PostLet the adventures begin! !